Visionary philanthropy can alter the course of science, education and patient care, and it is essential to our ongoing success. In the last issue of U Magazine, I talked about our strategy to grow the UCLA health system through building alliances with health care partners who share our commitment to change and innovation. But making dramatic change that advances our goals as an institution takes significant and sustained funding. In that regard, I wish to talk about another critical partnership — the one between us and the generous men and women, foundations and corporations who support our mission. Although National Institutes of Health funding now is slowly increasing after more than a decade of stagnation, there remains insufficient funding for the medical research community to reach its full potential. We are further challenged by declining insurance reimbursements for patient care, coupled with increasing operating costs for which we do not receive state funding. With such constraints, we have less latitude to do things that really are game changing. In this fiscal environment, the importance of philanthropy cannot be overstated. We are so grateful to those who understand that, in the words of Martin Luther King Jr., “Life’s persistent and most urgent question is ‘What are you doing for others?’” Through their support of the UCLA health system and the David Geffen School of Medicine at UCLA, our donors embrace the choice to make an indelible impact on health care to benefit the people — here in Los Angeles and around the world — whom we serve. To meet the challenges of today and the future, we must become more proactive in our approach to philanthropy. In the past, we often waited to hear from potential donors about what they were interested in supporting. But to achieve all that we desire, we now must become more engaged. Rather than donor-initiated giving, our leadership and department chairs and faculty have worked together to identify areas where we have needs and initiate focused fundraising campaigns to build philanthropic interest. We have a solid development team for this effort. In the last fiscal year, we raised nearly $276 million, and since 2012, we have raised $1.4 billion toward our UCLA Campaign goal of $2 billion. That is a solid foundation upon which to continue to build as we pursue our highest priorities. While we often trumpet our biggest donations, we must recognize, too, the vital role that all donors play in helping to sustain the excellence of the UCLA health system and the David Geffen School of Medicine at UCLA. Relatively few can make a gift of seven or more figures. It is those smaller gifts that provide a consistent revenue stream that we can count on, and which often have a very direct and immediate effect on all of our missions. Giving at this level may help to offset the cost of a lifesaving organ transplant for a child who is underinsured or enable us to offer new chemotherapies for which insurance reimbursements have not yet been established. 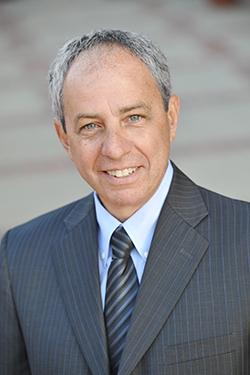 Continuing the excellence of the UCLA health system and the David Geffen School of Medicine at UCLA and building toward the future require both leadership and investment. Exceptional philanthropy will help ensure that UCLA can continue unraveling the mysteries of diseases, make transformative discoveries and develop the next generations of physician and scientist leaders. It is what shapes the future.